easy, quick and clear layout! 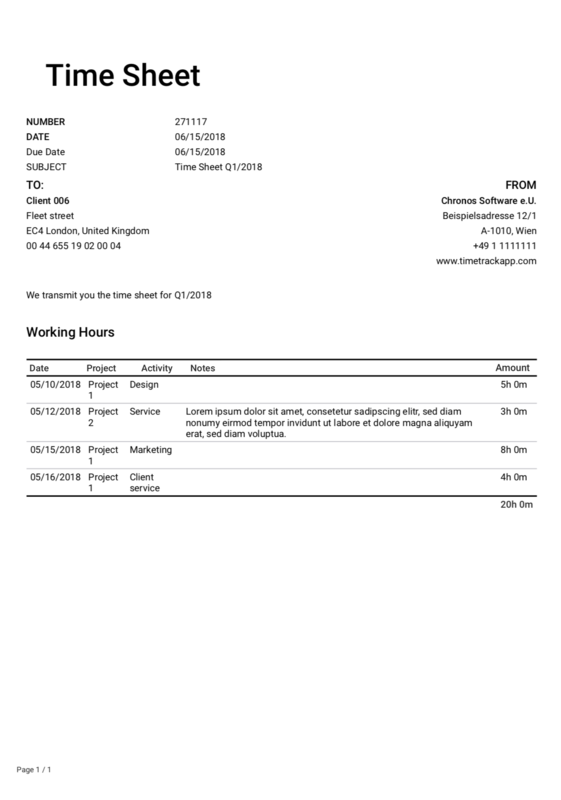 Define a period and a client, select a project and add the time entries. That’s all TimeTrack needs to create a detailed time sheet. All entries are synchronized in real time, so that you don’t have to enter anything manually. We offer many setting options, in order to adapt the time sheets to your requirements the best possible way. All changes are instantly displayed. Whether you are on the way or in the office, time sheets are created quickly and easily from all devices. Shortly, you can send the finished document directly to your client!